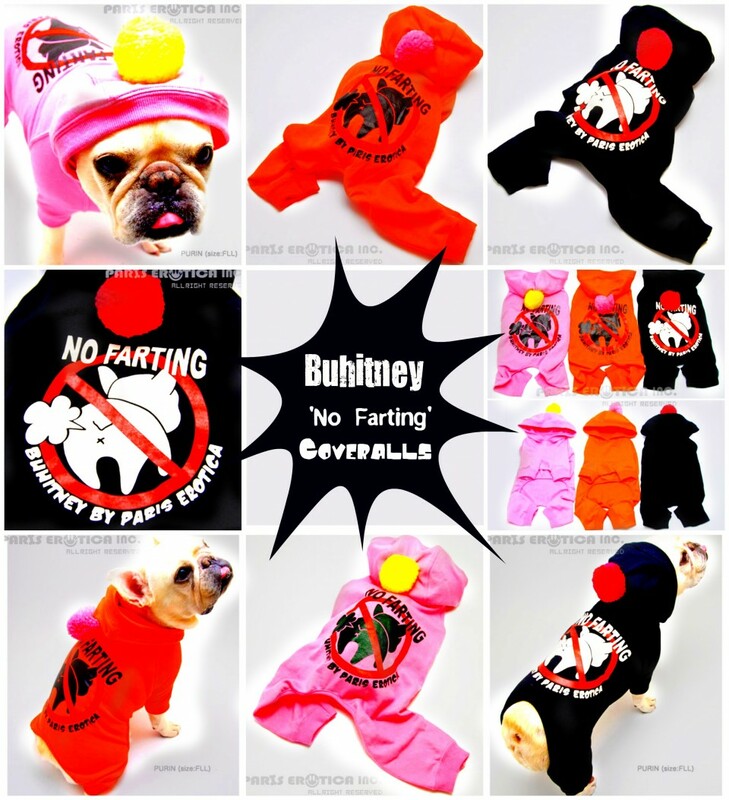 Buhitney ‘No Farting’ coveralls, modelled by the über adorable @miemomopurin (who always sticks her tongue out), are as perfect for a frenchie as an article of clothing can be! They even have a pompom on the hood to top it all off! Too cute! Coveralls POMPON BUHI COVERALLS PARIERO ☆ MALL.